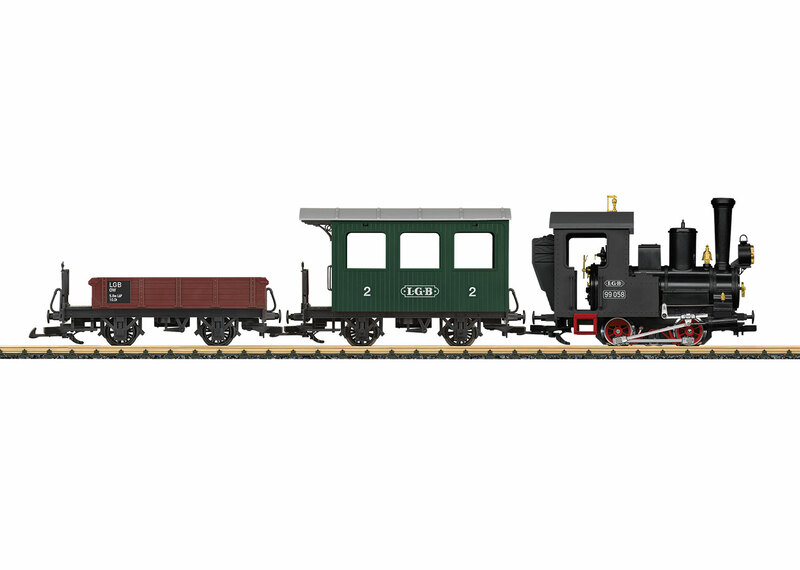 This starter set contains an old-timer train consisting of a tank locomotive, a passenger car, and a low side car. The locomotive is equipped with a powerful motor and has a lighted headlight. 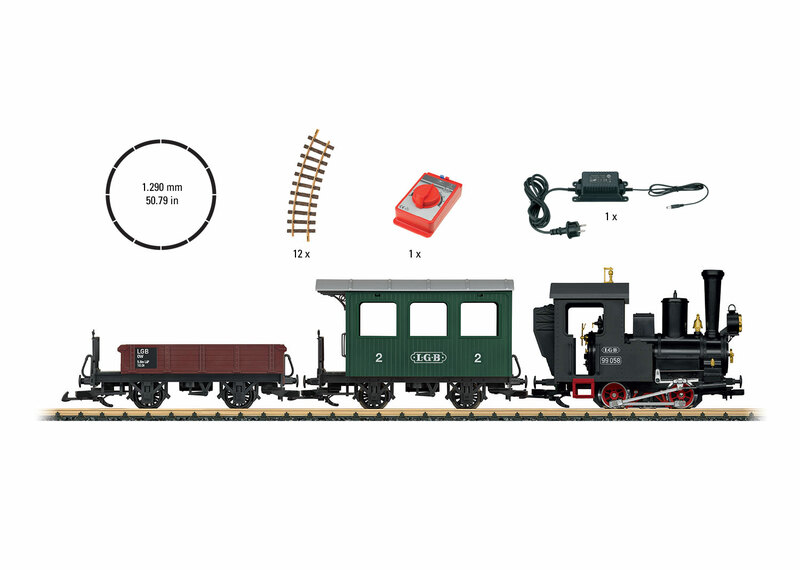 The set includes a complete circle of track, a power supply for 230 volts, and a locomotive controller. Train length 76 cm / 29-15/16".